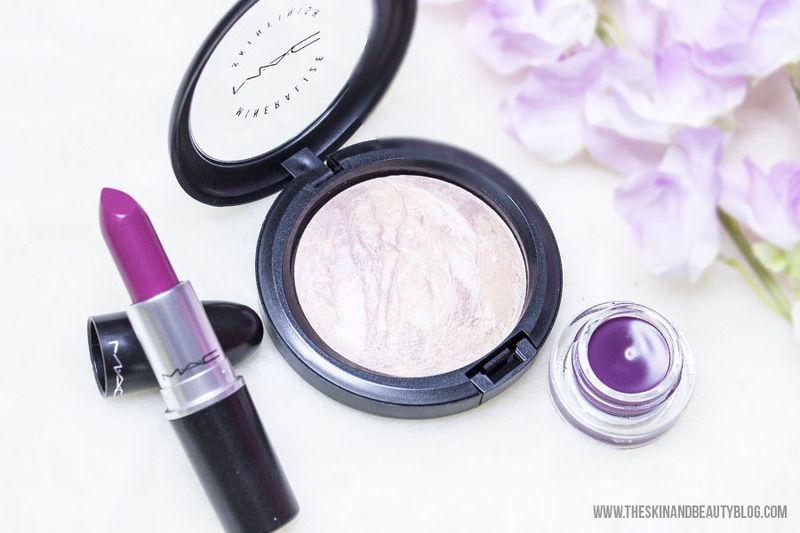 Here's the second part of my MAC A Fantasy of Flowers Collection haul. Where the first part of my haul consisted of coral and neutral bronzey shades, this second part has the more pinky or Radiant Orchid variety. As you might know, radiant orchid has been pronounced as this year's pantone colour. I wonder if it was by coincidence that MAC released this collection with the same colour theme or if it was planned, but either way I'm glad. Keep reading for my review! 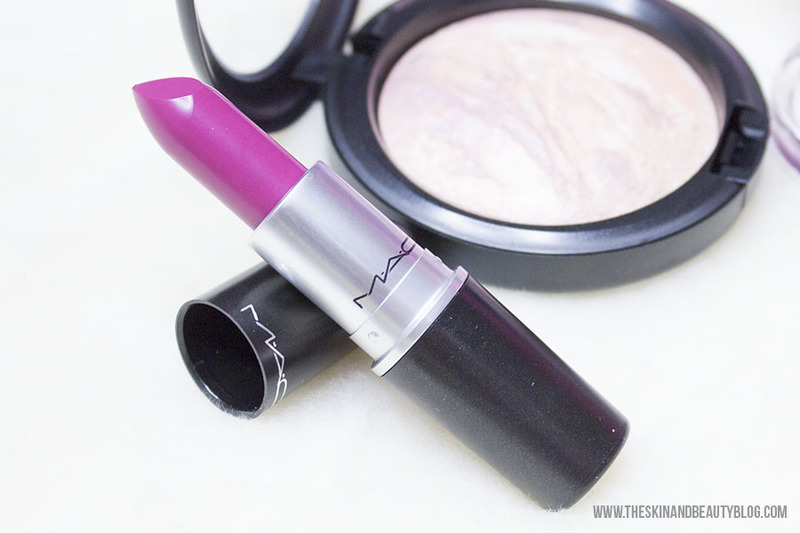 MAC Heavenly Hybrid Lipstick has garnered a lot of attention from purple lipstick lovers but also from the shocking-pink enthusiasts for its bright pinky purple ness. It applies evenly, smoothly and very opaquely for a lustre finish. This is a good 'pick me up' colour for gloomy days and is a fun springtime shade too. In my many years of beauty-addict-ship, this has been the first year where I developed an interest in fluidlines. My skills at applying liquid liner or fluidline are a bit lacking, but since I've discovered a certain little pixie of an eyeliner brush that makes this so easy, I've been venturing into the pot gel eyeliner field. 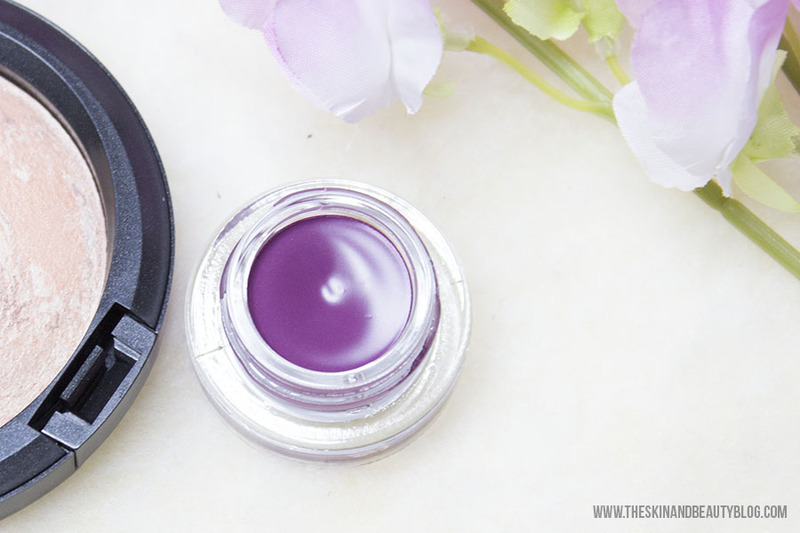 MAC Phlox Garden Fluidline is a matte pinky purple eyeliner, similar in shade to the MAC Heavenly Hybrid Lipstick above. The colour is a little bit out of my comfort zone, but I thought it was just too pretty to pass up! Perhaps I could use it for a tiny pop of colour and the warmer spring and summer months will be more forgiving to bust bright shades out like these. 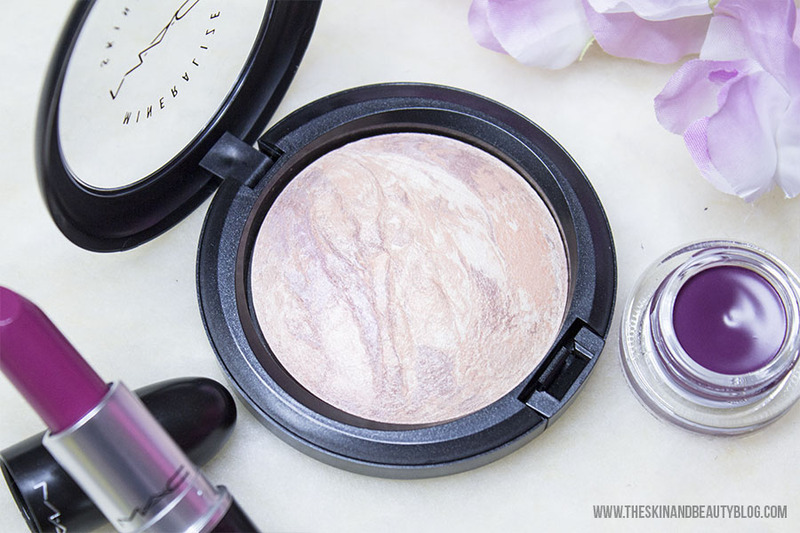 Now MAC Perfect Topping Mineralized Skinfinish... this MSF has been said to be a repromote of an MSF before that shares the same name, but word on the street is that this is a lot different from the previous. 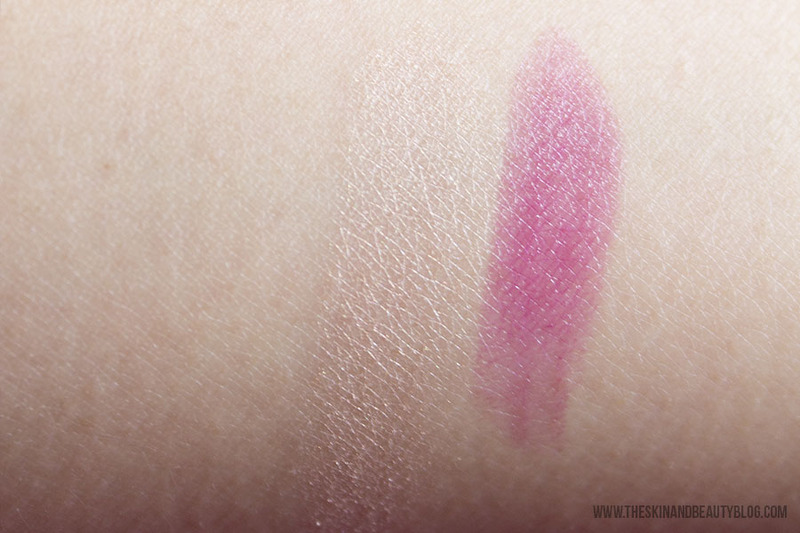 The older MAC Perfect Topping MSF had a lot more purple veining to it than beige and therefore would show up a little more pink, where as this just shows a lot 'beige' as you can see in the swatch below. I don't have the original MSF but this one I think is beautiful in its own right. When swirled together, the shade is a light beige with a beautiful sheen, it makes a great highlighter for everyday use. It is not metallic unlike the MAC Extra Dimension Skinfinishes so its a lot more safe on the pores. I have been using this everyday since I got it and it does last a while on the skin on top of a proper base of course. MAC Maleficent Collection Colour Story!